Have you suffered with the body changes of Menopause as I have? Including the heavy bleeding at times I have used Fibro-T for quite some time but didn’t feel like my body was healing. A relative of mine started going through the same difficulties and her practitioner recommended DIM. So what is it? Stay tuned and we’ll give you the details below. The basic is that it is from Cruciferous vegetables like broccoli and all those good cabbage family vegetables that we should eat more of. After starting on a DIM supplement I felt my body began a healing process. Making the process of moving through the whole menopause thing much better. After doing more homework I found it does way more than just help Menopausal women. It protects the body against cancer, helps with weight management, Prostate health and many other antioxidant properties. What does Diindolylmethane do for you? DIM helps balance, normalize and improve estrogen metabolism in men and women. It is oil soluble and best taken with food or flax oil. 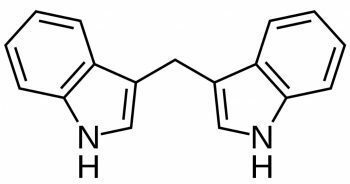 Diindolylmethane (DIM) is a compound derived from the digestion of indole-3-carbinol, found in cruciferous vegetables such as broccoli, Brussels sprouts, cabbage and kale. Scientists think these vegetables may help to protect the body against cancer because they contain diindolylmethane and a related chemical called indole-3-carbinol. Diindolylmethane is used for preventing breast, uterine, and colorectal cancer as well. With so many things working as “fake estrogens” in our lives these days like plastics water bottles, hormone replacement therapy and estrogens in the meats we eat our body struggles with the side effects these things leave us with. Diindolylmethane (DIM) works with our body to block these estrogen effects while allowing the body’s healthy estrogens to do their more effectively.